The Model 94NC is our largest non-catalyst bay series stove. 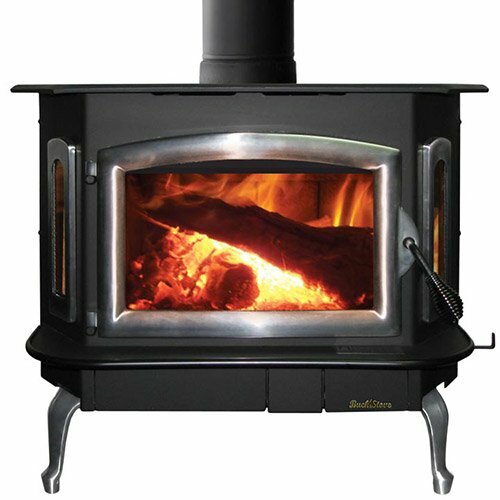 This magnificent stove is modeled after our most popular selling wood stove, the Model 91. The major difference being that the catalytic combuster has been replaced by secondary air tubes that help burn the smoke produced by your fire. This provides you with a very long burn time, allowing you to heat your home for less money. The 94NC comes standard with a factory installed blower, ash removal tray and oversized glass door.